As one of the leading i-Gaming experts and game designers in the industry, NextGen Gaming has consistently provided the playing crowd with innovative games using modern technologies. The company was founded in 1999, making it as one of the earliest gaming studios around that provided the market with games and services and collaborated with casinos, lotteries and gaming operators. Its best known for its strategy that’s anchored on providing casino players with ‘next-generation’ games, and it delivers through its philosophy of attract, entertain and retain players. This commitment is seen in the quality of games it offers, often in collaboration with other studios. A perfect example of this is the latest slot game presentation from NextGen Gaming, the Shangri La slot game. Shangri La is an Oriental-themed and action-packed game that takes players on a mystical journey in a strange land with top prizes and bonuses. Shangri La slot game is not your ordinary slot presentation; its a game with an Asian flavor, uses striking graphics and uses the Open Gaming System OGS™ from NYX. Players who will open the game will instantly notice the theme and Asian flavor of the game, thanks to the use of a relaxing and enthralling sound effects. This action-packed slot game comes with 5 reels and feature a number of bonus features that can boost the chances of players to win the top prizes. The symbols that are used in this game are all inspired by the Orient and Eastern philosophies, including but not limited to the lotus flower, elephant, temple and the gold amulet which also serves as the high-paying symbol of the game. With the gold amulet serving as the scatter, players can earn 3,000x the bet made if 5 symbols are shown on the reels. The tiger is another exciting symbol to play as it offers 500x the bet made. All these payouts and bonus symbols are presented in a game defined by the use of a striking graphics and soundtrack. As a truly immersive slot game, players are given the chance to explore the right path on the trail map to collect winnings. According to the CCO of NextGen Gaming, David Johnson, this game is dedicated to the slot players looking for adventure and a true paradise. More than the striking gameplay, Shangri La slots is different thanks to the use of the Open Gaming System from NYX, making this a creative collaboration from these two studios. What makes this game different is its design and the technology used, particularly its use of the NYX OGS™ platform. This is a popular gaming platform that is operated and offered by the NYX Gaming Group, another vendor that’s part of Scientific Games where NextGen is a member. This platform is a complete and flexible game aggregation platform that is designed for operators of bingo, slots, sportsbook and poker. This is marketed as a single integration of games, allowing players and operators to access some of the best games in the market, including Shangri La by NextGen Gaming. 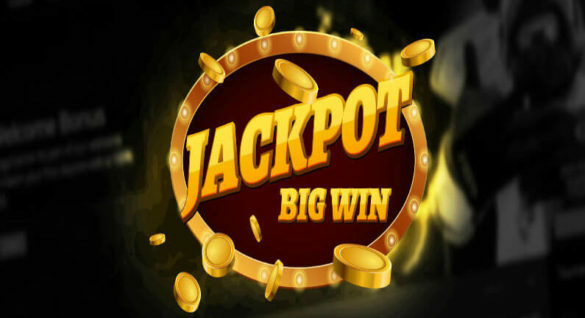 This is considered as one of the most popular gaming platform and portfolio in the market, with more than 900 casino titles to choose from and these are supplied by more than 40 top software and game studios. The benefit of this platform is more pronounced on the operator side since the use of the platform allows the operators to pick and choose the gaming content that will best suit the needs of players and the target casino demographics. More than the quality and diversity of games, this platform comes with premium support from account management, guidance with marketing and structure and 24/7 support.